The spectrum of conditioning regimens in use ranges from low intensity to high intensity, with the former relying on a later graft-versus-host disease (GVHD) effect with decreased regimen-related toxicity while the latter increases the immediate antitumor effect at the cost of higher toxicity. 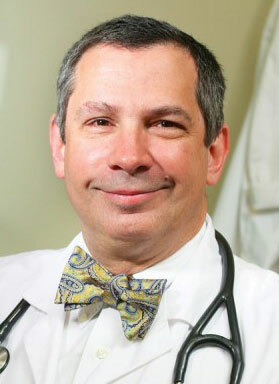 “We can reduce nonrelapse mortality by reducing the intensity of the regimen and relying on a GVHD effect but we pay a price by increasing the risk of relapse,” said Giralt, chief of the Adult Bone Marrow Transplant Service and the Melvin Berlin Family Chair in Multiple Myeloma at Memorial Sloan Kettering Cancer Center, New York City. Strategies that allow for exploiting dose intensity without increasing nonrelapse mortality are needed. The best way to improve outcomes is early referral, but even that may not impact results in individuals with primary induction failure, who still represent about 30% to 40% of patients with acute myelogenous leukemia (AML) or myelodysplastic syndromes (MDS), Giralt said. New graft sources can potentially lower relapse rates, and the use of KIR genotype–advantaged donors and cord blood (as opposed to haploidentical transplant), is currently being explored for this purpose. New preparative regimens may allow for elimination of cells that could be potentially resistant to current conditioning strategies, Giralt said. Adding targeted agents to the pretransplant conditioning regimen has the potential to increase the antitumor effect. Options include gemtuzumab ozogamicin, an anti-CD33 monocloncal antibody; Iomab-B, a radiolabeled antibody–drug conjugate targeted against CD45; and rituximab, an antibody directed against CD20. Optimizing delivery of currently used agents is another possibility, such as pharmacokinetic (PK)-directed therapy with intravenous busulfan. A 50% reduction in the dose of busulfan in the conditioning regimen in patients with advanced MDS/AML is associated with a significant decline in 18-month relapse-free survival compared with a high-intensity regimen. By adjusting the dose of busulfan to target an average daily area under the curve of 6000 µmol/min, a significant benefit in event-free survival is realized in patients with AML/MDS, and more so in patients with active disease. Targeting the CD45 antigen as a way to deliver high-dose radiation to the bone marrow is currently being explored. Some 85% to 90% of acute leukemias express CD45 and, importantly, it is absent from nonhematopoietic tissues. Iomab-B, an iodine-131 anti-CD45-based conditioning regimen, followed by allogeneic HSCT in patients with advanced AML/MDS was developed at Fred Hutchinson Cancer Research Center in Seattle, and has been tested in patients aged 50 and older with relapsed/refractory disease who were not candidates for a standard transplant. Fifty-eight patients with active disease were treated (mean age, 63 years). In the first stage, single patients were treated at doses escalating in 2-Gy increments until the first dose-limiting toxicity (DLT). In the second stage, cohorts of 4 patients were started at the next lower dose, and doses were escalated in increments of 2 Gy if no DLT occurred. An additional cohort of 4 patients were treated at the same level if one patient experienced a DLT.